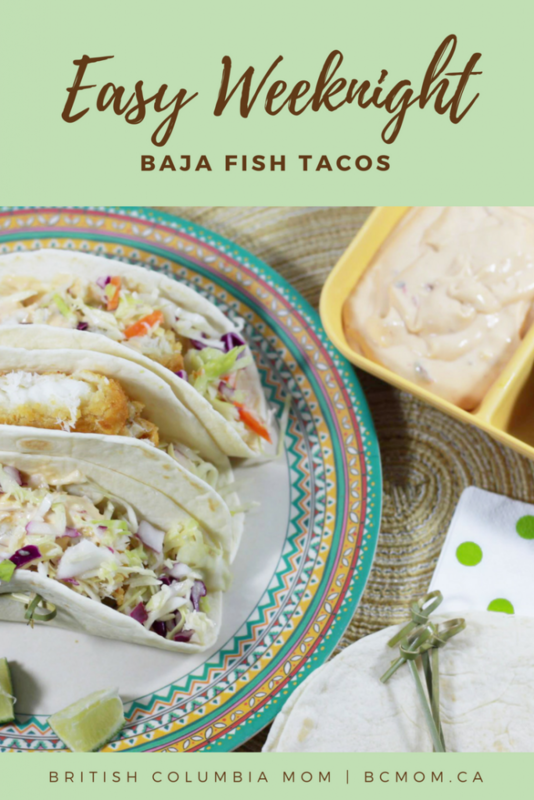 Easy Weeknight Baja Fish Tacos (In Under 30 Minutes!) + #Giveaway! It’s so hard to believe that we are already into April! Our family had such a crazy Spring Break that I felt like we were living in a constant state of flying by the seat of our pants with take out and fend for yourself dinners. From camps, sleepovers, activities and the inevitable spring break allergy craziness at our house, we were ready for life to calm down a little bit. I feel like I blink and the week is already half over lately, with Spring Break finally over and the kids back at school it was time for me to hunker back into the meal planning bubble and get some regular kitchen magic happening! I know how hectic weeknights can be with homework, housework and after-school activities so when I’m planning our week, it has to be simple, delicious and something we can throw together quickly! Taco Tuesday anyone? In our house, tacos reign supreme in every form and we always have certain recipe staples on hand to make tacos happen whenever the craving strikes! My other half orders fish tacos every time we go out for dinner so I knew he’d appreciate Baja Fish Tacos being added to the rotation – especially with a recipe that even he could master after a long day at work. 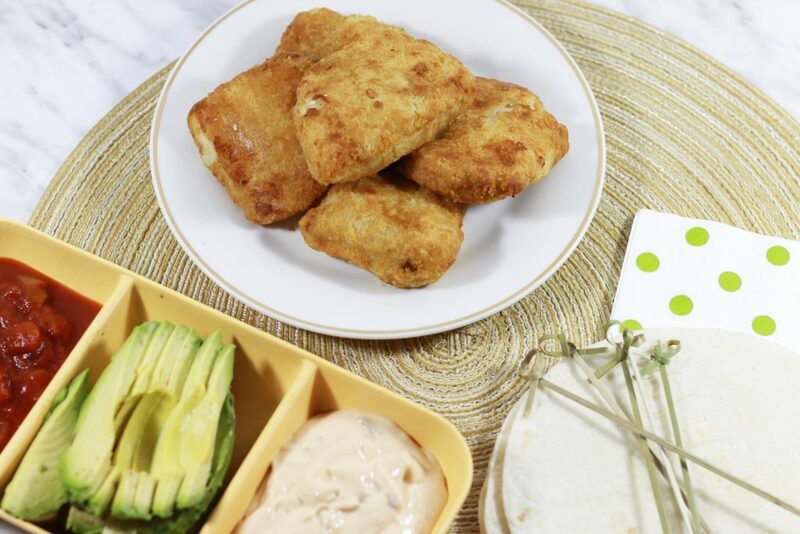 For this recipe, I used a box of Janes ultimates Tavern Battered Cod. With zero trans fat, no preservatives and no artificial flavours or colours it stands up to what I would expect from a Janes product. The fillets are already battered and ready to be cooked which saves me a ton of time during the week! There were 10 small to medium sized of battered cod in the box, which worked out perfectly for making a pile of tacos to feed the brood (and the husband!) at home. My favourite part about this recipe is it uses many things we had and you probably already have on hand, or small items you can add to the weekly grocery shop without breaking the bank. All in all, everything I needed to actually buy for this recipe cost me under $20 and primarily was produce items and the Janes ultimates Tavern Battered Cod. We lucked out and there is a $4 off coupon available on select boxes while supplies last, making the price even more affordable! 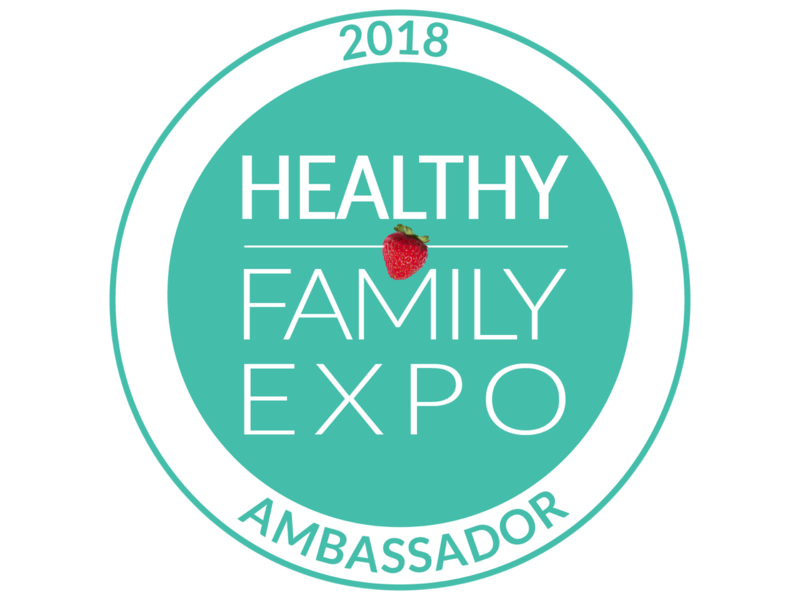 If you can get out sooner, rather than later to stock the freezer keep an eye out for the specially marked boxes (again, while supplies last!). Once you have your ingredients on hand, it’s time to make the weeknight Baja Fish Taco magic happen! Start by pre-heating your oven according to the Janes box and lay your fish fillets out on a single layer on a baking sheet. Use the time the oven is pre-heating to grab everything else for the recipe. There’s no “prep” time in this recipe, while the fish is cooking you can have everything else ready to go, making this an under 30-minute meal! Once your oven is pre-heated, toss in the baking sheet and set your timer for 15 minutes. Once your fish is in the oven it’s time to start prepping the slaw. Toss a bag of shredded coleslaw in a large bowl with apple cider vinegar, vegetable oil, salt and finely chopped onion and set aside, stirring every so often to mix all the flavours together. Next up is the chipotle sauce! This is a favourite in our house and something we make often for a lot of different meals. It’s flavourful and delicious on just about every type of burger or taco and super easy to make. In a smaller bowl mix together mayonnaise, a chopped chipotle pepper with sauce to taste, a garlic clove and some lime juice. Mix all together and set aside. PRO FRUGAL TIP for you here, if you’re looking to cut time and a bit of money (and I mean *really* cut time) on this one, there are lots of chipotle mayonnaise products available in the mayo section at the grocery store that are pretty yummy and not super spicy. They can last in the fridge for quite some time so keep one on hand and just add garlic and some lime juice to kick up the flavour a bit more. If you aren’t going to use the full can of chipotle chilis it makes more sense to either make a big batch of sauce you can keep in the fridge, or have something quick on hand. When your timer dings, flip your fish fillets and put back into the oven for another 10 minutes to crisp up the other side. While they are finishing off, set the table and lay out the coleslaw, sliced avocado, chipotle mayonnaise sauce and a bowl of salsa. When the fish fillets are all cooked, turn off the oven and take out the pan to cool a few minutes. Wrap your soft tortillas in tin foil and put into the oven for a few minutes while everyone is called to the table. They don’t need very long and should come out nice and warm and yummy. We like to let everyone assemble their own tacos so we serve everything at the table, you can either use a whole fillet per taco or half, we found with the smaller tortillas half a fillet was plenty and made for nice stuffed fish tacos with just the right balance of flavour. The avocado and salsa are optional, but we’re an avocado loving family so we sneak them in whenever we can. Assembly is pretty self-explanatory – it’s a taco so make it however your taco-loving heart desires! 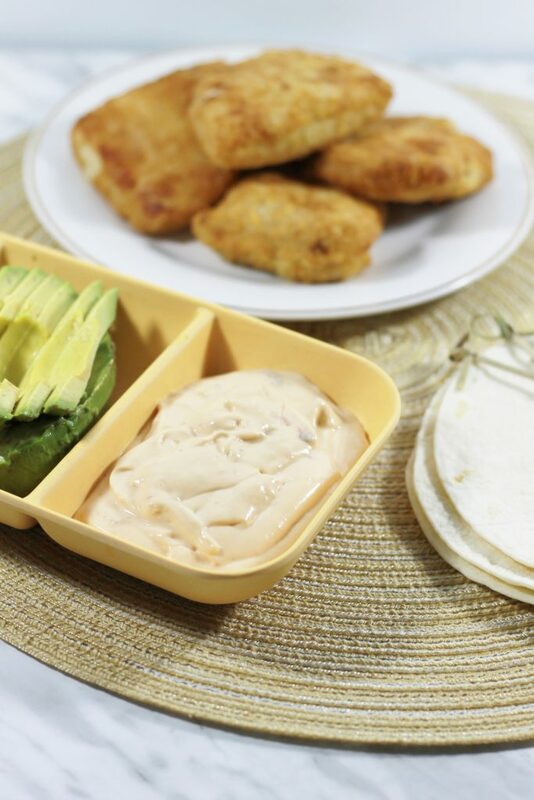 I fill a tortilla with coleslaw, add a piece of Janes ultimates Tavern Battered Cod, drizzle with the chipotle mayo and top with a couple sliced of avocado. Squeeze a bit of lime over the top of everything and you’re good to go! This recipe is a huge hit at our house and the first time I made it we went through 13 tacos! It’s also a huge hit with the extra kids we end up with some weeknights after school. With good ingredients and Janes ultimates Tavern Battered Cod a source of omega-3 polyunsaturates it’s an easy way to get some goodness into a weeknight dinner without leaving me scrambling! Full recipe with measurements below. Happy Taco Weeknight Dinner’ing! 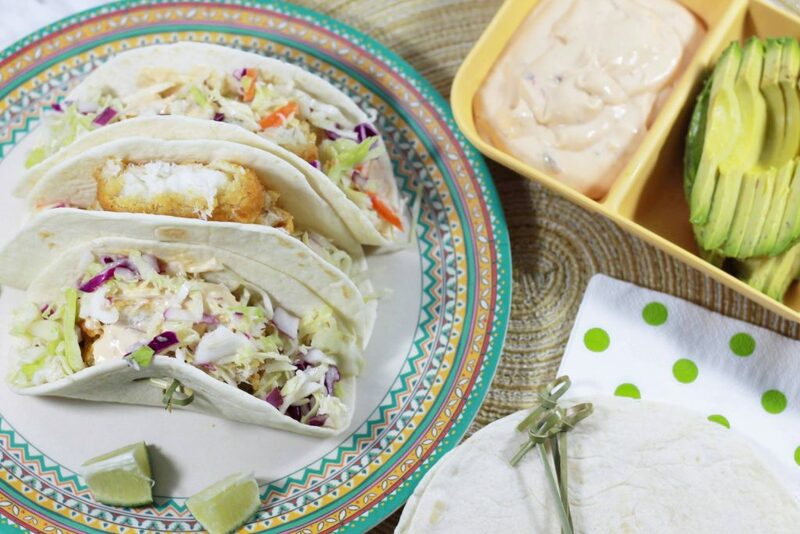 Up the weeknight dinner game with these easy Baja Fish Tacos the whole family will love! Preheat your oven according to Janes ultimates Tavern Battered Cod box instructions. Lay Janes ultimates Tavern Battered Cod on a baking sheet, we used a pizza pan for even crispness but a cookie sheet will do. One fillet per 2 tacos. Put into oven and set the timer for 15 minutes. Flip at 15-minute mark and cook for an additional 10 minutes. 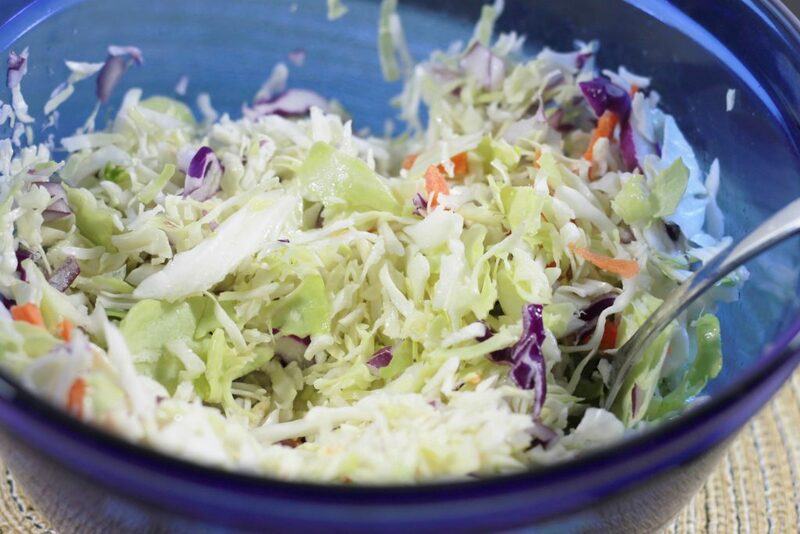 In a large bowl, combine the bag of shredded coleslaw, chopped red onion, apple cider vinegar, vegetable oil, and salt. Set aside. 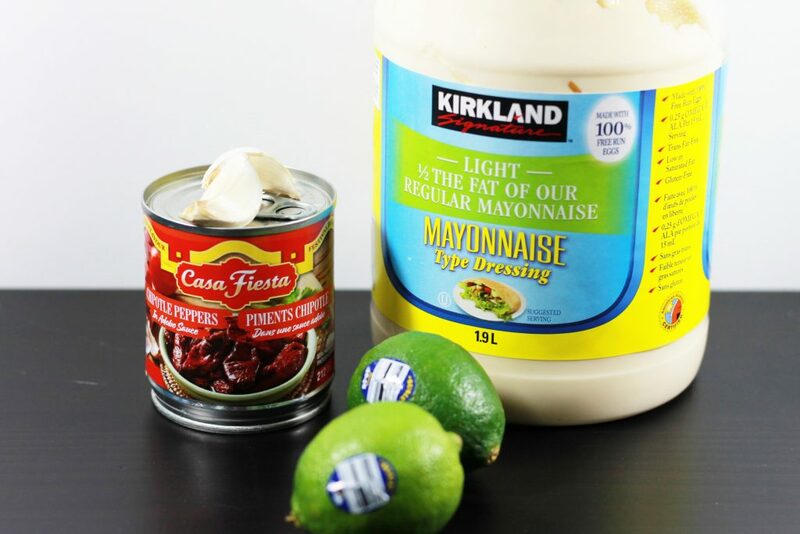 Combine mayonnaise, chopped chipotle pepper and adobo sauce, garlic and lime juice in a small bowl and mix well. Set aside. PRO TIP: If you're feeling a bit short on time, add a chipotle mayo sandwich spread to your shopping list for next week and mix in some additional lime juice and garlic. When your Janes ultimates Tavern Battered Cod is cooked and crispy, turn off oven, remove pan let stand a few minutes. Wrap your warm tortillas in tinfoil and toss into the cooling oven while you set the table. To assemble tacos, fill a warm tortilla with coleslaw, top with half a fish fillet, drizzle chipotle sauce on top and enjoy! We serve our Janes ultimates Tavern Battered Cod whole on the table with salsa, avocado, and chipotle sauce so everyone can dive in and make their faves! To keep this recipe family friendly we toned down the heat, if you want to kick it up a notch add an additional 1 chopped chipotle pepper and sauce to taste. Love it? Don’t forget to pin the recipe to your meal planning board! 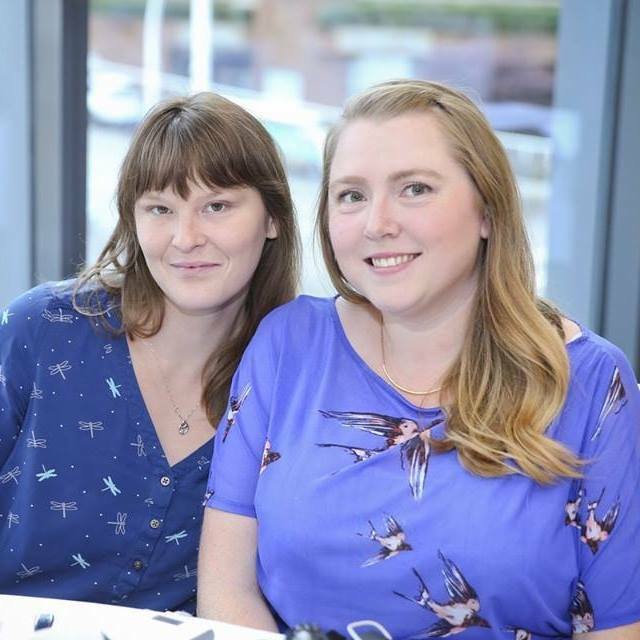 The Life Changing Magic Of A Menstrual Cup #DivaDifference + #Contest! I would definitely try the battered cod fish tacos! Sounds super tasty and easy! Omg these look orgasmic!! Way to go and when do I get to come over for dinner? We have oven baked fish and fries at least once a month. We usually use haddock but Jane’s Cod would be a nice change. I would make fish tacos! I bet these would make a great burger as well, but I do love fish tacos! I would use it in tacos- the kids would love it. Depending on the size of the cod pieces, we would likely make sliders. This sounds like a great dinner idea. I would make the battered cod fish tacos! Sounds so delicious! I would make some fish tacos! My hubby loves fish burgers so I would make his some with a pineapple slaw topping and Jane’s Tavern Battered Cod. This looks delicious!! And I love Janes! I think I’d keep it simple with the fish over a rice pilaf and some veggies. I love making fish Tacos. The Janes Tavern Battered Cod would be perfect. Fish is an unusual protein in our house, so, I’m not very creative… I think Janes ultimates Tavern Battered Cod would be a good option for the old standby of fish and chips. I would make burgers with coleslaw. Yummie. I would make a yummie cod salad! I’d do mini fish sliders for the kids. I love this recipe and would really like to try it! I would love to incorporate it into my fish taco’s! 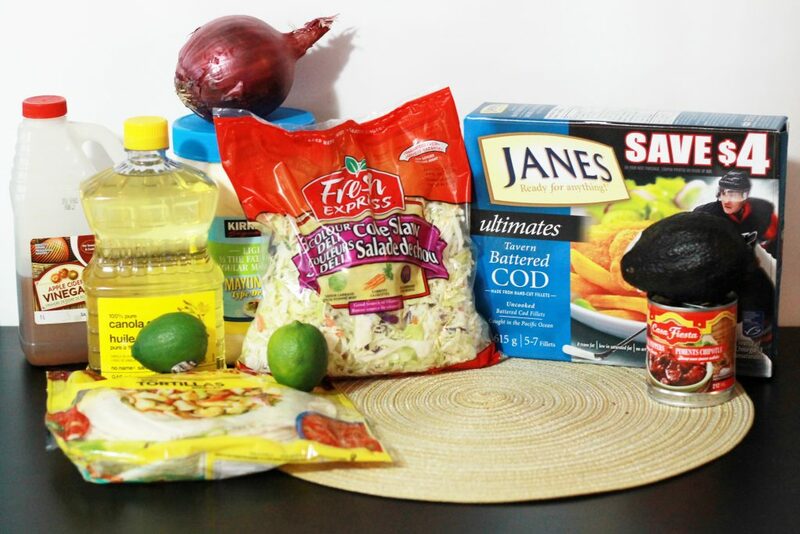 I was planning on making fish tacos sometime and I think it would be nice to do it with the Janes battered Cod fish to try an alternative to beef tacos! 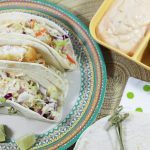 We love using frozen fish sticks to make fish tacos and so I think I would do the same with these ones. I”m excited to give them a try! Honestly my hubby likes just plain old fish and chips – no change to the original. I would make fish burgers. Fish burger with ranch dressing & lettuce & tomatoes. I would love to try it with tacos, as suggested here! I’ll cut them in pieces and add to spinach, arugula and tomato salad. My family would like these in a nice crusty bun with coleslaw. It would be a nice change from ground beef or pork. I’d make my favorite “fishburger” with them. I love fish tacos! 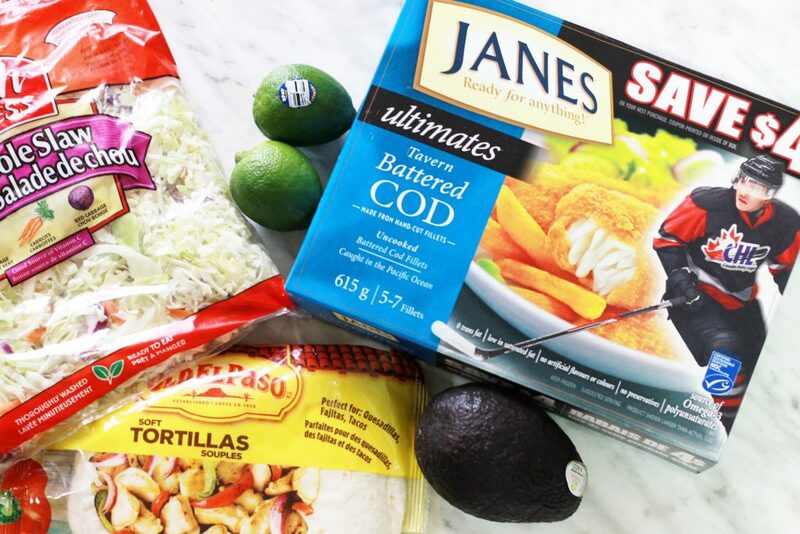 I would use some Jane’s fish and turn it into a yummy lime cilantro fish taco.. Sounds so yummy. Thanks for the idea! I would make fish burgers and some fish wraps!! Would love to use the battered cod as a central piece of my fish and chips dinner! and buy them often for our family because they are nutritious and delicious. I would use the Ultimate Cod in my favourite sandwich, a toasted bun with fish, cayenne pepper/mayo and shredded lettuce. So yum!! I would absolutely LOVE to try Jane’s Fish!! I’ve only ever had the chicken strips. Looks amazing! And those tacos are on my list now, too! Good ol’ fashioned fish and chips with coleslaw! I would use them to make a fish burger for lunch, I would add a thin slice of red onion and lettuce with some seafood sauce. good idea, now that I know what’s for dinner I just need to figure out dessert. My husband would just like them with homemade fries… nothing fancy or difficult needed! I would make fish and chips! I would use the Jane’s fish for fish sandwiches. Love Jane’s fish for tacos! I would love it in fish tacos – my favourite! I would definitely try your recipe for the fish tacos. It looks amazing, and I know my 10 year old would love it too. I would have to agree with many others fish tacos! And maybe the odd Fish & Chips meal! I would use it for yummy fish burgers with tartar sauce. 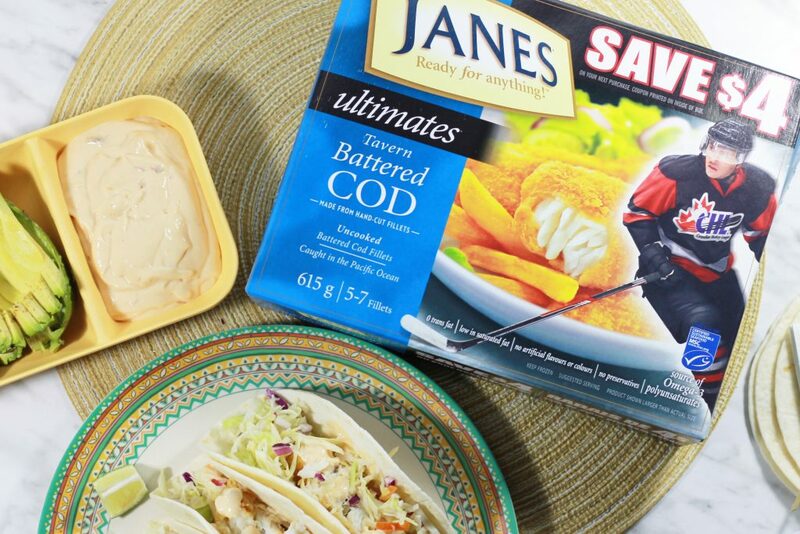 I’ve never tried fish tacos in a restaurant, but would totally use Jane’s battered cod in my home-made version. I like being able to control my ingredients, and I trust Jane’s. My husband and I love fish tacos so this recipe looks fantastic. I would use these for fish burgers. I would love to make fish burger with a dill sauce! I’ve never thought of making fish tacos before. So easy and they look delicious. I’d like them just the way the are with a tartar sauce and some fries! I might try it in a quesadilla. Tasty! i would definitely try making fish tacos with a spicy slaw on top! I love janes chicken, I’ve never tried the fish yet . I would like to try it in fish tacos . I would love to make the fish tacos!! Was a switch from the regular tacos! I would make a casserole with them !! I myself would love the fish tacos or just to put it in a salad. My daughter loves breaded fish but she calls it chicken..still not quite sure why she thinks it tastes like chicken! I have never had a fish taco! I enjoy fish, and I love tacos therefore I would definitely love to try this recipe! It sounds amazing. We would make fish tacos! Yummy! I would use them on Fish & Chips night!! I personally love fish tacos, so definitely those! I would serve it with my homemade tartar sauce. I am going to try this recipe! I would use it in a fish burger with coleslaw and pickles. I have never tried the cod before! I think I would also make fish tacos! They sound delicious! I would definitely be making fish tacos,,they looks delicious! Would be a nice change from the meat tacos we have weekly! I would use them in a burger! I’d make a fish burger out of these fish sticks. I would incorporate Janes ultimates Tavern Battered Cod into a grilled cheese sandwich. Better than toasted tuna anyday! I would sneak it in to tacos for the grandkids. If I had not seen Jane’s fish product in the upcoming Longo’s flyer, I’d only know about their chicken products. Thanks to this blog post and recipe, I know there are more Jane’s products to try! I would make the fish tacos. I would make fish tacos because they are my husband’s favorite. I would either make fish tacos or fish burgers!! So much good! I would make fish tacos. I bet a nice pastry crust and a dipping sauce would be interesting ! I have used their fish fillets, tempura battered but a fish taco would be awesome! I have been meaning to try making fish tacos…. I would make tacos, they look yummy! I would use Janes ultimates Tavern Battered Cod to make a version of fish finger sandwiches. Yum! I think the Janes Ultimates Tavern Battered Cod would taste great in a fish burger with homemade coleslaw. thank you for great recipe!